Should You Buy Art on the Internet? Buying art online can be as safe as buying art from a reputable gallery. 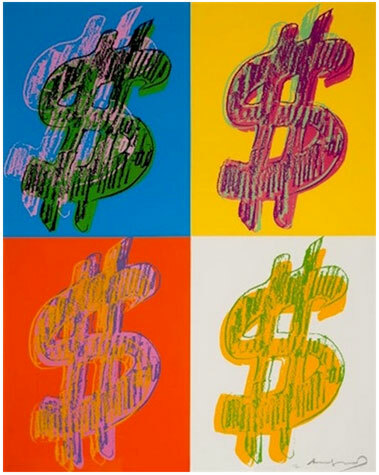 From acquiring an Andy Warhol painting or a Marc Chagall poster, buying art online can be fun, exciting and completely secure, but precautions should be taken. You can’t just go into it and think that everyone is ready to serve you with honesty and integrity. Unfortunately, that isn’t always the case so we’ll take a look at buying art online safely and securely. Let’s Go Art Shopping on ebay! These days, you can find just about any genre of art on ebay and just about any artist, regardless of obscurity. Pop Art, Masters Art, Contemporary Art, self-represented artwork, lithograph prints, screenprints, etchings, watercolors, oil paintings… It’s a great resource for art buyers and sellers alike. Maybe you have a piece of art you want to sell. You can research and see what other pieces like yours are selling for on ebay. I want to buy a particular piece of art from a dealer so let’s see what it’s selling for on ebay to compare pricing. This is all good and helpful, but you can’t always rely on ebay pricing to be accurate. Why? There are many reasons. The art might be in bad condition, the seller might be desperate to sell, they might have acquired it for so little that their asking price is good enough to recover their money and make a good profit… and a number of other random reasons. These scenarios are present in every selling venue, not just ebay. Now that you’ve spent a little time researching the Internet for a specific piece of art, it looks like ebay has the best price. What should you do now? Ask yourself these questions. Who’s the seller? What does their feedback tell you? What else are they selling? Are they an experienced art dealer or a novice? How can you know? There are lots of people on ebay selling art with very little experience in art sales. Buying from these dealers can be a nightmare for a private collector. When considering where to buy your art online, price should be considered but not the only thing to consider. For a safe, happy transaction, we believe an equally important decision will be whom you buy your art from. Let’s take a look at what can happen with a bad or hasty choice. GinaArt sells mostly fine art but we also have an ebay store where we sell mostly decorative and collectible art although we do sell some fine art there as well. 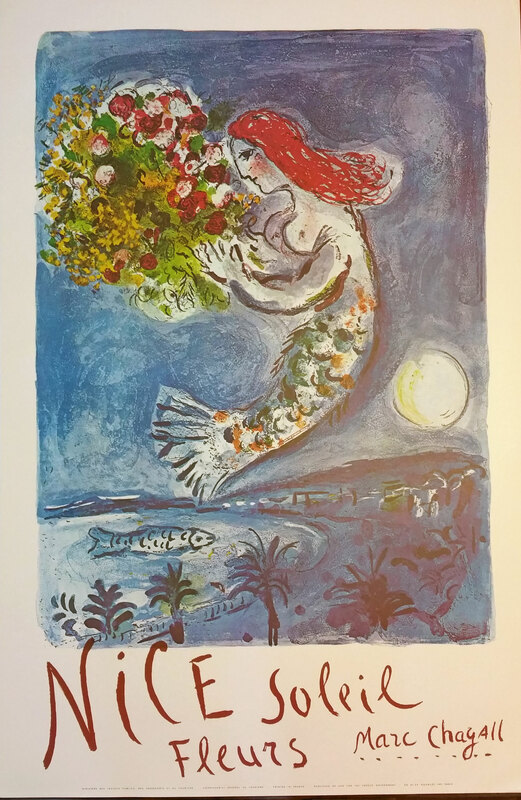 One item I had for sale was a Marc Chagall, “Nice Soleil” poster for $85. While it is the exact same size as the original limited edition posters, it’s only a lovely decorative poster and the price reflects that fact. I sold two of these posters to the same buyer and a few weeks later, I found out the buyer had an art store on ebay too, and had listed the same posters on his store for $1250! He had even used the photos from my listing. And, he had sold one at that price! When his customer inevitably complained to him about selling him a poster, not an original lithograph, this “dealer” feigned ignorance and came back to me saying I had misrepresented the prints to him. Obviously, I wouldn’t sell an original lithograph for $85 and I never represented the print as anything other than a lovely decorative poster. This “art dealer” was at best, inexperienced and should have known that any art dealer with an original Chagall lithograph wouldn’t sell it for $85. It was immediately clear to me from our email exchanges that this seller was over his head. He insisted I mislead him to believe the print was a lithograph but I never did and nor did my listing. And his demeanor was unprofessional for an art dealer. At worst, he is dishonest. He was happy to buy a poster for $85 and resell for $1250 until he was caught. I asked ebay not to reward his dishonesty with a refund and ebay did the right thing. They saw that this was a dishonest art dealer and so they refused the refund and forced him to adjust the price on his listing or remove it. These kind of sellers, whether intentional or not, ruin it for the rest of us, buyers and sellers alike. For as many bad art sellers out there, there are many more good reputable art sellers. You’ll have many art dealers to choose from and here is where you want to do your homework. When first looking for fine art online, do a quick search for the artwork you’re looking for. Research by searching current auction results. Find out what it’s currently selling for on the secondary market and in galleries. Gallery prices are often highest because of the overhead of a storefront, employees and having to carry inventory. If you see a listing for your art and the price seems very low or very high, you shouldn’t necessarily be put off. Contact the seller and ask questions. Why is their price so much higher or lower than others on the market? What is the condition? Is the seller a private collector or a dealer? Ask them to confirm that this is the edition piece that you’re looking for, not a poster, etc. Can you get more detailed photos? How long has the seller been selling art? Do they have a website? Look at feedback. Evaluate their emails. Are they professional? Are they eager to help and willing to talk by phone? How are you feeling about them? Do they offer a refund if the art is not as described or damaged? One thing that should be a red flag is if the seller is telling you that your return on investment is guaranteed. This is something that any smart, experienced art dealer would never promise to his client because no one can know what will happen in the market. We can always speculate and offer our opinion but there is never a guarantee. First and foremost, you should buy the art because you love it, it makes you happy and want to look at it on your wall every day. That’s the best reason to buy art. As a responsible consumer, you should know what you’re buying. If you buy a piece of art and then you receive it and are disappointed with how it looks in person, that’s not a fair reason to ask for a refund. Especially if you’ve taken the seller’s time and they’ve been fair and honest about the representation. Know what you’re buying. Try to see the art in person before making the decision to buy. Maybe visit a nearby gallery that may be carrying it or try to be familiar with other works from that artist. If you can’t see that particular piece in person, then ask for detailed photos that are true to the colors. Let your seller know that you want to be sure so you aren’t disappointed and they should be completely receptive to this. A good art dealer’s goal is for your happiness as well. Additionally, you should know the difference between a lithograph, screenprint, etching, collage, watercolor, etc. (a subject for another blog coming soon) so you aren’t surprised when you see your art. Art is bought online every day by reputable, honest art dealers and sold to satisfied buyers. It’s not unusual to complete a transaction for an art acquisition worth thousands of dollars and for buyer/seller never to talk on the phone, let alone meet in person. This is the way sales are done these days in the Internet age. It’s a great thing for everyone. It creates opportunities and extends our reach for both art buyer and art seller. The key is to be aware and work with someone you like. Create a relationship and be wary of sellers who are elusive or don’t seem knowledgeable. And remember most of all, if it seems too good to be true, it probably is. GinaArt has been selling art online for over a decade. We sell mostly 20th century pop art and masters works but our reach is wide and we are able to acquire just about anything you need. Since we are an online service, we don’t have the overhead of a typical storefront. If you are lucky enough to find us, you will benefit from our wholesale prices and personal attention to your needs. We are ultimately interested in the long-term relationship, not the quick sale. View our artist gallery of fine art for sale. Contact GinaArt for any inquiries.